The City of Monterey in Monterey County is located on Monterey Bay along the Pacific coast in Central California . Monterey lies at an elevation of 26 feet (8 m) above sea level. As of 2005, the city population was 30,641. The city is noted for its rich history of resident artists beginning in the late 1800s, and its historically famed fishery. Monterey is home to the Monterey Bay Aquarium , the Monterey American Viticultural Area, Cannery Row , Fisherman's Wharf and the annual Monterey Jazz Festival. In prehistoric times the Rumsen Ohlone tribe, one of seven linguistically distinct Ohlone groups in California, inhabited the area now known as Monterey. They lived a subsistence life of hunting, fishing and gathering in what has been deduced as a biologically rich Monterey Peninsula. The most prominent archaeological resources extant here are shell middens, the garbage dumps of these early inhabitants. We can infer from midden contents that mussels and abalone were consumed by the Rumsen Ohlone as their chief marine staples. The principal archaeological sites that have been mapped are located between the Monterey Bay Aquarium and the Naval Postgraduate School, within about 2000 feet (610 m) of the coastline. First established in 1770 by Father Junípero Serra and Gaspar de Portolà (governor of Baja and Alta California (1767–1770), explorer and founder of San Diego and Monterey), Monterey served as the capital of California from 1777 to 1849, under the flags of Spain and Mexico . Variants of the city's name are recorded as Monte Rey and Montery. Portola erected the Presidio of Monterey to defend the port against an expected Russian invasion. On June 3, 1770, Serra founded the Cathedral of San Carlos Borromeo, also known as the Royal Presidio Chapel. When the mission was moved to Carmel the following year, the existing wood and adobe building became the San Jose Chapel for the Presidio of Monterey. Monterey became the capital of the Province of Both Californias in 1777 and the chapel was renamed the Royal Presidio Chapel. The original church was destroyed by fire in 1789 and replaced by the present sandstone structure. It was completed in 1794 by Indian labor in the form of a Latin Cross. In 1840, the chapel was rededicated to the patronage of Saint Charles Borromeo. The cathedral is the oldest continuously operating parish and the oldest stone building in California . It is the oldest (and smallest) serving cathedral along with St. Louis Cathedral in New Orleans, Louisiana . It is the only existing presidio chapel in California and the only existing building in the original Monterey Presidio. The city was originally the only port of entry for taxable goods in California. All shipments into California by sea were required to go through the Custom House, the oldest governmental building in the state and California's Historic Landmark Number One. Built in 3 phases, construction on the Custom House began in 1814 under the Spanish, the center section under Mexican rule in 1827, with the lower end completed by the United States in 1846. Construction on the Custom House began in 1814 under Spanish rule. Monterey was also the site of the July 7, 1846, Battle of Monterey during the Mexican-American War. It was on this date that John D. Sloat, Commodore in the United States Navy, raised the U.S. flag over the Monterey Custom House and claimed California for the United States. In addition, many California "firsts" occurred in Monterey. These include California's first theater, brick house, publicly funded school, public building, public library, and printing press, which printed The Californian, the first newspaper. Larkin House, one of Monterey State Historic Park ’s National Historic Landmarks, built in the Mexican period by Thomas Oliver Larkin, is an early example of Monterey Colonial architecture. The old Custom House, the historic district and the Royal Presidio Chapel are also National Historic Landmarks. The Cooper-Molera Adobe is a National Trust Historic Site.Colton Hall, built in 1849 by Walter Colton, was originally a public school and government meeting place. It also hosted California's first constitutional convention. Today it houses a museum, while adjacent buildings serve as the seat of local government. The Monterey post office opened in 1849. Monterey incorporated in 1889. Monterey had long been famous for the abundant fishery in Monterey Bay. That changed in the 1950s, when the local fishery business collapsed due to overfishing. A few of the old fishermen's cabins from the early twentieth century have been preserved as they originally stood along Cannery Row . In addition to painters, many noted authors have also lived in and around the Monterey area such as John Steinbeck, Robinson Jeffers, Robert A. Heinlein, Henry Miller, Ed Ricketts, and Robert Louis Stevenson. More recently, Monterey has been recognized for its significant involvement in post-secondary learning of languages other than English and its major role in delivering translation and interpretation services around the world. In November 1995, California Governor Pete Wilson proclaimed Monterey as "The Language Capital of the World". According to the United States Census Bureau, the city has a total area of 11.7 square miles (30.4 km²), of which 8.4 square miles (21.9 km²) is land and 3.3 square miles (8.5 km²) (28.05%) is water. Sand deposits in the northern coastal area comprise the sole known mineral resources. Local soil is Quaternary Alluvium, and the city is in a moderate to high seismic risk zone, the principal threat being the active San Andreas Fault approximately 26 miles (42 km) to the east. The Monterey Bay fault, which tracks three miles (4.8 km) to the north, is also active, as is the Palo Colorado fault seven miles (11.3 km) to the south. Also nearby, minor but potentially active, are the Berwick Canyon, Seaside, Tularcitos and Chupines faults. Monterey Bay's maximum credible tsunami for a 100 year interval has been calculated as a wave nine feet (2.7 m) high. The considerable undeveloped area in the northwest part of the city has a high potential for landslides and erosion. The city is situated on the Monterey Bay National Marine Sanctuary, a Federally protected ocean area extending 276 miles (444 km) along the coast. (Sometimes this sanctuary is confused with the local bay which is also termed Monterey Bay.) The California sea otter, a threatened subspecies, inhabits the local Monterey Bay marine environment, and a field station of The Marine Mammal Center is located in Monterey to support sea rescue operations in this section of the California coast. Monterey is home to some endangered bird species: the California clapper rail, found in salt marshes; plus the California brown pelican and the Yuma clapper rail, both of whose habitats are dunes and rocky headland. The rare San Joaquin kit fox is also found in Monterey's oak-forest and chaparral habitat. The chaparral, found mainly on the city's drier eastern slopes, hosts such plants as manzanita, chemise and ceanothus. Additional species of interest (that is, potential candidates for endangered species status) are the Salinas kangaroo rat and the silver-sided legless lizard. There is a variety of natural habitat in Monterey: littoral zone and sand dunes; closed-cone pine forest; and Monterey Cypress. There are no dairy farms in the city of Monterey; the semi-hard cheese known as Monterey Jack originated in nearby Carmel Valley, California , and is named after businessman and land speculator David Jack. The closed-cone pine habitat is dominated by Monterey pine, Knobcone pine and Bishop pine, and contains the rare Monterey manzanita. (In the early 1900s the botanist Willis Linn Jepson characterized Monterey Peninsula's forests as the "most important silva ever", and encouraged Samuel F.B. Morse (a century younger than the inventor Samuel F. B. Morse) of the Del Monte Properties Company to explore the possibilities of preserving the unique forest communities.) The dune area is no less important, as it hosts endangered species such as the vascular plants Seaside birds beak, Hickman's potentilla and Eastwood's Ericameria. Rare plants also inhabit the chaparral: Hickman's onion, Yadon's piperia (Piperia yadonii) and Sandmat manzanita. Other rare plants in Monterey include Hutchinson's delphinium, Tidestrom lupine, Gardner's yampah and Monterey Knotweed, the latter perhaps already extinct. Monterey's environmental noise has been mapped to define the principal sources of noise and to ascertain the areas of population exposed to significant levels. Principal sources are the Monterey Peninsula Airport , State Route 1 and major arterial streets such as Munras Avenue, Fremont Boulevard, Del Monte Boulevard, and Camino Aguajito. While most of Monterey is a quiet residential city, a moderate number of people in the northern part of the city are exposed to aircraft noise at levels in excess of 60 db on the Community Noise Equivalent Level (CNEL)scale. The most intense source is State Route 1: all residents exposed to levels greater than 65 CNEL—about 1600 people—live near State Route 1 or one of the principal arterial streets. The climate of Monterey is regulated by its proximity to the Pacific Ocean , culminating in a Mediterranean climate (Köppen climate classification Csb). As a result, Monterey's average high temperature ranges from around 16° Celsius (60° Fahrenheit) in winter to 22° Celsius (72° Fahrenheit) during the summer months. Average annual precipitation is around 19.5 inches (495 mm), with most rainfall occurring during California's wet season between November and April, while little or no precipitation falls during the summer months. There are an average of 70 days with measurable precipitation annually. During winter, snow occasionally falls in the higher elevations of the Santa Lucia Mountains and Gabilan Mountains that overlook Monterey, but snow in Monterey itself is extremely rare. A few unusual events in January 1962, February 1976, and December 1997 brought a light coating of snow to Monterey. In March 2006, a total of 3.2 inches fell in Monterey, including 2.2 inches on March 10, 2006. The snowfall on January 21, 1962, of 1.5 inches, is remembered for delaying the Bing Crosby golf tournament in nearby Pebble Beach . The record highest temperature in Monterey was 104°F on October 5, 1987. The record lowest temperature was 20°F on December 22, 1990. Annually, there are an average of 2.9 days with highs of 90°F (32°C) or higher, and an average of 2.0 days with lows of 32°F (0°C) or lower. The wettest year on record was 1998 with 41.01 inches of precipitation. The driest year was 1953 with 8.95 inches. The most precipitation in one month was 14.26 inches in February 1998. The record maximum 24-hour precipitation was 3.85 inches on December 23, 1995. Monterey has a strong arts community. Museums and entertainment venues abound in the city as do local and internationally known artists. Monterey is also the home of the Monterey Museum of Art. Also, the Thomas Kinkade National Archive was founded in 1994 and is located within the Harry A. Greene Mansion at 361 Lighthouse Avenue. Kinkade originals have been limited in availability since 1997, however the museum does display many of the artist's earlier work and on rare occasions and at the discretion of the artist, more contemporary works. All works in the Archive are original Kinkade works of art. The mansion is Moorish-Victorian style and has been restored to its original 1886 condition. Monterey is also the site of numerous waterfront arts and crafts festivals held in the Custom House Plaza at the top of Fisherman's Wharf. 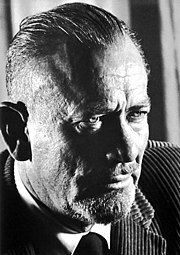 Notable artists who made the area their home include John Steinbeck, who grew up in Salinas, and lived in nearby Pacific Grove for many years as well as the city of Monterey for a very short time. Steinbeck immortalized Monterey with his novels Cannery Row, Tortilla Flat and East of Eden, and his play Of Mice and Men. Among Steinbeck's friends were some of the city's more colorful characters, including Ed Ricketts, a marine biologist, and Bruce Ariss, artist and theatre enthusiast who designed and built the Wharf Theater . After Rickett's death, the new owner and a group of his friends would assemble in Rickett's lab for drinks and Jazz music every Wednesday evening. While visiting with the group, San Francisco DJ, Jimmy Lyons, suggested holding a Jazz celebration in Monterey which eventually became the Monterey Jazz Festival. In 1879, Robert Lewis Stevenson spent a short time in Monterey at the French Hotel, during the time he was writing "Amateur Immigrant," "The Old Pacific," "Capital," and "Vendetta of the West." The former hotel, now known as "Stevenson House", is located at 530 Houston Street and features various items that once belonged to the writer. In June 1967 the city was the venue of the Monterey Pop Festival . Formerly known as the Monterey International Pop Music Festival the three-day concert event was held June 16 to June 18, 1967 at the Monterey County Fairgrounds. It was the first widely-promoted and heavily-attended rock festival, attracting an estimated 200,000 total attendees with 55,000 to 90,000 people present at the event's peak at midnight on Sunday. It was notable as hosting the first major American appearances by Jimi Hendrix and The Who, as well as the first major public performances of Janis Joplin and Otis Redding. In 1986, the Monterey Blues Festival was created and has run continuously for over two decades. The building in which the first paid public dramatic entertainment in California was presented is located in Monterey and is called, appropriately, "California's First Theater". In 1847, a sailor named Jack Swan began construction on an adobe building at the corner of Pacific St. and Scott Ave, near the Pacific House and Fisherman's Wharf. Between 1847 and 1848 several detachments of soldiers were stationed in Monterey and some of the sailors approached Swan with a proposition to lease a section of his building for use as a theatre and money making venture - a proposal that Swan accepted. The enterprise collected $500 on its first performance, a considerable sum at that time. The primary mediums presented were Melodramas and Olios (a form of musical revue and audience sing-along). In the spring of 1848, the play Putnam, or, the Lion Son of '76, was presented. After the Gold Rush of 1849, much of the population, including Swan, traveled to northern California in search of riches. As a result, by the end that year, the company disbanded. In 1896, Swan died and the building was abandoned until 1906, when it was purchased by the California Historic Landmarks League, who deeded it to the State of California.In 1937, the building was leased to Denny-Watrous Management, who revived the tradition of melodrama at the now historic building. A resident company was created and named the Troupers of the Gold Coast, who maintained the tradition for over 50 years, closing for renovation in 1999. The Bruce Ariss Wharf Theater is run today by Angelo Di Girolamo, whose brother had the original idea for a theatre on the wharf. "The Wharf Theatre" opened May 18, 1950 with a production of Happy Birthday, featuring a set design by Ariss. The theatre also produced one of Bruce Ariss' original plays and was successful enough to draw the attention of MGM who brought the artist to Hollywood to work for several years. The theatre was destroyed by fire December 31, 1959. It re-opened in 1960 in a new location on Alvarado Street (formerly the "The Monterey Theater") and in 1963 was renamed "The Old Monterey Opera House". It continued until the mid 1960s when it fell to urban renewal. In the early-1970's, discussions began about rebuilding back on the wharf itself, and theatre plans began to take shape. Designed by Ariss, the new Wharf Theater opened its doors on December 3, 1976, with a community theatre production of Guys and Dolls, directed by Monterey Peninsula College Drama Department chairman, Morgan Stock. Located at the northwest end of old Fisherman's Wharf, the venue continues to provide ongoing amateur entertainment. Local radio stations include KWAV-FM - 96.9, KBOQ-FM - 103.9, KIDD-AM - 630 , KNRY-AM - 1240 , and 1610-AM the city information station. Television service for the community comes from the Monterey-Salinas-Santa Cruz designated market area (DMA). Local newspapers include the Monterey County Herald. There are several institutions of higher education in the area, including California State University, Monterey Bay at the site of the former Fort Ord; the Defense Language Institute, located on the Presidio of Monterey, California; the Naval Postgraduate School , on the site of a former resort hotel; the Monterey College of Law; the Monterey Institute of International Studies (an affiliate of Middlebury College ); and Monterey Peninsula College , part of the California Community Colleges system. California State University Monterey Bay has developed several well respected programs in marine and watershed science, consistently placing graduates in graduate programs or science careers. The federal institutions (the Defense Language Institute, DLI, and the Naval Postgraduate School, NPS) are important employers in, and strongly associated with, the city. As of the census of 2000, there were 29,674 people, 12,600 households, and 6,476 families residing in the city. The population density was 3,516.9 people per square mile (1,357.5/km²). There were 13,382 housing units at an average density of 1,586.0/sq mi (612.2/km²). The racial makeup of the city was 80.83% White, 2.52% African American, 0.57% Native American, 7.43% Asian, 0.29% Pacific Islander, 3.91% from other races, and 4.45% from two or more races. 10.86% of the population were Hispanic. The age distribution is as follows: 16.6% under the age of 18, 13.1% from 18 to 24, 33.8% from 25 to 44, 21.7% from 45 to 64, and 14.9% who were 65 years of age or older. The median age was 36 years. For every 100 females there were 96.8 males. For every 100 females age 18 and over, there were 96.1 males. The city is served by Monterey Peninsula Airport , and local bus Service is provided by Monterey-Salinas Transit. Monterey is steeped in history and famed for the abundance and diversity of its marine life, which includes sea lions, sea otters, harbor seals, bat rays, kelp (seaweed) forests, pelicans and dolphins. Located at the southern end of Cannery Row , the Monterey Bay Aquarium , one of the largest in North America, hosts several important marine science laboratories. Monterey's geographic location gives scientists access to the deep sea within hours, and only a few miles offshore is Monterey Canyon , the largest and deepest (3.2 km) underwater canyon off the Pacific coast of North America. Another popular museum is MY Museum (Monterey County Youth Museum). This museum is especially popular with small children, and is located within walking distance of the present day Fisherman's Wharf, which is now a popular tourist destination, and directly adjacent to The Museum of Maritime History. Sealife makes Monterey a popular destination for scuba divers of all abilities ranging from novice to expert. Scuba classes are held at San Carlos State Beach, which has been a favorite with divers since the 1960s. Once called Ocean View Boulevard, Cannery Row was renamed in 1953 in honor of writer John Steinbeck, who had written a well known novel of the same name. It has now become a tourist attraction with numerous establishments located in former cannery buildings, as well as a few historical attractions and the Monterey Bay Aquarium . A few privately owned and operated fishing companies still exist on Cannery Row, housed on piers located a short distance from the historic district frequented by tourists. Monterey also has much to offer anyone who wants to dip into California's history including several museums, and more than thirty carefully preserved historic buildings. What may be the only whalebone sidewalk still in existence in the United States lies in front of the Old Whaling Station. Lake El Estero is a popular Monterey park. Recreation opportunities include paddle boats, the Dennis the Menace Park (especially popular with small children), and a skate park designed by local skaters. Birders are especially fond of this park due to its easy accessibility and the diversity of bird life it attracts. Josh Billings, pen name for Henry Wheeler Shaw, second most famous humorist (after Mark Twain) of the mid-to-late 19th-cent. Died at Monterey. Robert Louis Stevenson, author of The Strange Case of Dr Jekyll and Mr Hyde stayed in Monterey in 1879. Monterey is cited in his children's poem from A Child's Garden of Verses, "To My Name Child." The Stevenson house, with its poetic garden, is located in Monterey.